Across the United States, there are fewer mini-golf facilities than in decades past. But today’s mini-golf centers are more distinctive in style, more diverse in terms of offerings, and more in tune with what today’s patrons look for in recreation. Mini-golf is thriving on new terms — attracting a younger generation to novelty features and a more immersive experience. Consider that the sport was once played almost exclusively out of doors, whereas many centers now succeed by offering indoor play. In doing so, they’re tapping a whole new clientele on inclement or excessively hot days, even at night. “For us, the indoor-outdoor aspect certainly helps,” noted Patty Ethridge, who with husband George owns Golf Shores Fun Center in Corydon, Ind., which has 18 indoor and 18 outdoor holes. The design is upscale at Lost Island Adventure Golf. Shown are players at one of the center’s mini-golf holes. Myriad attractions certainly give Etheridge an edge over other local mini-golf parks, most of which have shuttered over the past two decades, Everett said. “But they were all outside,” Ethridge pointed out. “Now there’s nothing indoors for the next 100 miles, which is fine with me.” Not one to take her 28,000 annual visitors for granted, Etheridge entices local families with birthday party packages, as well as promotions for military families; Fort Knox is 40 minutes away. A themed element at Lost Island Adventure Golf. Tiki figures and other carved rock work make for a fun experience at the center. Design is also key for many of today’s successful mini-golf centers.The generic courses of yesteryear, with their hokey windmills and juvenile color schemes, are giving way to more unique, visually striking courses that offer a more memorable — and more grown-up — playing experience. Often, the style will revolve around a local theme, as at City Putt in New Orleans, which has two 18-hole courses: one themed around cities and culture across Louisiana, and another focused on New Orleans itself, with signs detailing the city’s historic sites at each hole. The State of Louisiana opened City Putt in 2013 as New Orleans’ only mini-golf facility, and its regional design has been a hit with both locals and tourists, said Manager Suzy Thibodaux. “The New Orleans charm — it’s something different,” she explained. 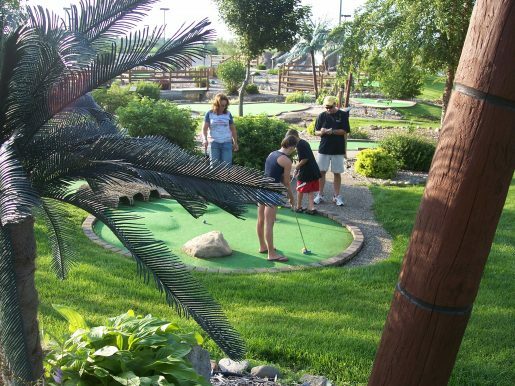 In Littleton, Colorado, the Colorado Journey mini-golf course is themed around the Mountain State; each hole highlights a different aspect of Colorado landscape and lore, said Manager Meredith Morris Whyte. “Coloradans have a lot of state pride, and that makes it kind of fun, cool attraction,” explained Morris Whyte. “We get a lot of repeat customers; it’s a clean, attractive place for families to come to.” Morris Whyte said a strong social media presence, including frequent Facebook outreach, has helped boost attendance at the center, which is administered by Littleton’s South Suburban Parks and Recreation District. A tropical island theme draws players to the mini-golf attraction at Lost Island Adventure Golf, a Waterloo, Iowa water park. 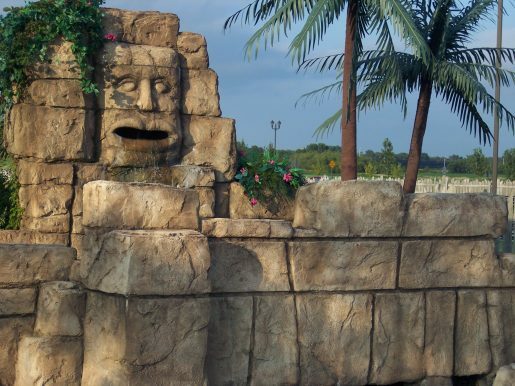 General Manager Eric Bertch said Lost Island’s organic theme, featuring tiki figures and carved rock work, gives it an upscale edge over the area’s only other mini-golf facility which has a more generic design. “The experience is different at our facility. And that’s a trend in the attraction industry overall — the idea of creating an immersive experience is definitely on the upswing, not only for mini-golf, but for theme parks and laser tag and so on,” said Bertch. 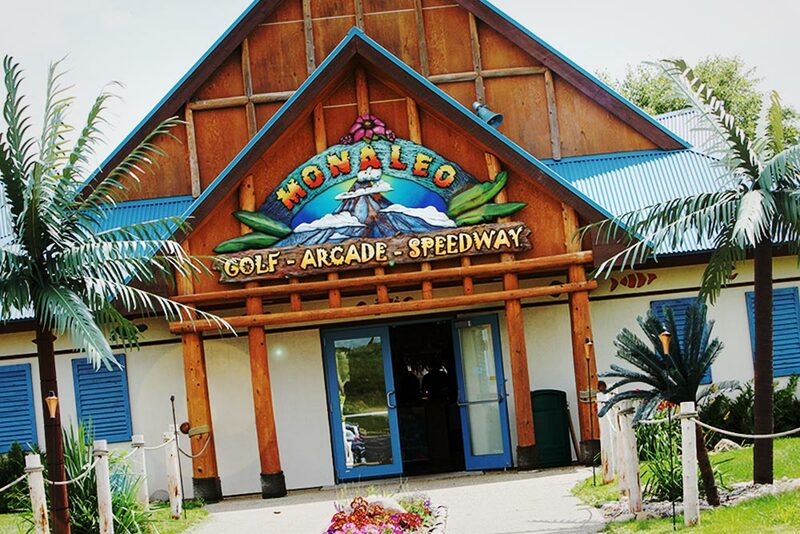 An exterior view of the Monaleo Golf, Arcade and Speedway at Lost Island Adventure Golf in Waterloo, Iowa. According to the general manager, the challenge for mini-golf facilities and other types of attractions is to capture a market by adapting to modern tastes.